SUMMARY: Email marketers in 2014 put their focus on customers. 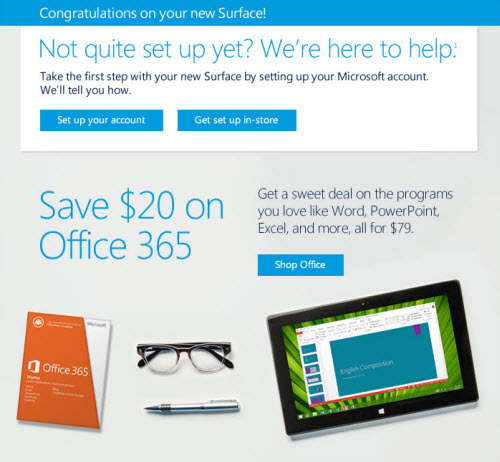 Through every new tactic and test, it’s clear that personalizing emails and serving customers wins out. To help you include these tactics in your 2015 email programs, we’ve collected eight MarketingSherpa case studies that display the best in these marketing efforts and new tactics. Read on for the advice and wisdom your peers have collected over the past year. It’s easy to say that the customer comes first, but when your computer screen is swimming with metrics and clickthrough rates aren’t where you want them to be, it's easier to make choices that will get you a bump but maybe not serve their best interests. The following eight case studies are the lessons, tactics and stories of marketers who put customers first and managed to achieve long-term, positive results in the process. With a legacy of separate and multiple systems used to collect limited data, it was difficult for the team at Microsoft Store to understand customers across both online and brick-and-mortar stores. Instead of waiting for a long-term dynamic data infrastructure, the team worked within their current confines to learn more about their consumers and make the most out of the limited data to increase email revenue by 600%. This case study is also the 2014 MarketingSherpa Reader’s Choice Email Award winner, as decided by MarketingSherpa Blog readers. The Kentucky Derby was marketing based on assumptions about their customers and wanted to put some concrete data behind the content choices the marketing team was making. In developing a newsletter centered around Derby content, the team began segmenting and directing compelling content directly to the customers who wanted it most. 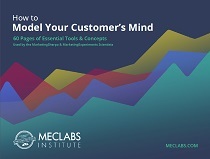 Read the full case study to learn what they discovered about their three customer segments through this effort. Overcoming the digital disconnect between the legal space and technology is the mission of The Expert Institute, a New York City-based legal service platform startup. To help combat this challenge with its customers, the marketing team wanted to put a name and face to brand communications. By instituting a monthly email series from the vice president of client relations, the team was able to decrease the unsubscribe rate and increase conversions by 200% while increasing consumer trust and understanding. "Most of our lives we spend not as marketers, but as recipients of marketing," said John Lavey, President and Chief Operating Officer, Hammock. As consumers, his team was experiencing email fatigue in their own inboxes and knew their newsletter was part of this problem. Read on to learn how they combated this by simplifying email content and design and renaming the newsletter to represent a refocus on idea cultivation and problem-solving. 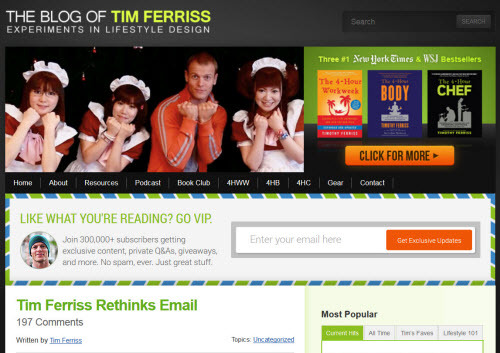 When author, angel investor and self-described "email-phobe" Tim Ferriss realized he had collected hundreds of thousands of email addresses over seven years of posting to his blog — without ever sending an email — he knew he had to act. From this base, Ferriss created a simple, but effective email program from lessons he learned while building up his blog audience. With Zumba Fitness' annual Instructor's Convention approaching, the marketing team decided it was the perfect opportunity to grab their email audience's attention. Inserting a personalized video into a launch email emerged as a way to accomplish this. By gathering footage from previous years and building subscribers' names into the creative element, Zumba was able to drive its highest click-to-open rate ever. When the marketing team at DaVita Kidney Care started taking notice of symbols popping up in the subject lines of their personal inboxes, they began questioning whether or not these symbols could be implemented in their own email program. Read on to find out how the team set out to integrate this new and off-beat tactic into their testing and how they discovered for themselves whether or not this strategy provided any results from their consumers. A favorite speaker from MarketingSherpa Email Summit 2014, David Sierk, Email Strategy and Analytics, Dell, explains in this case study how GIFs have revamped the online experience, enhancing everything from news stories to websites to even emails. While these video-photo hybrids are a fun visual treat for consumers, marketers are using GIFs as a valuable way to showcase products that a static photo just can’t do justice. In this case study, we dig into a GIF-focused email campaign that established Dell as an esteemed MarketingSherpa Email Award winner. Read the full article for an inside look into an animated effort around Dell's convertible laptop-tablet, increasing revenue 109% for this tech company.